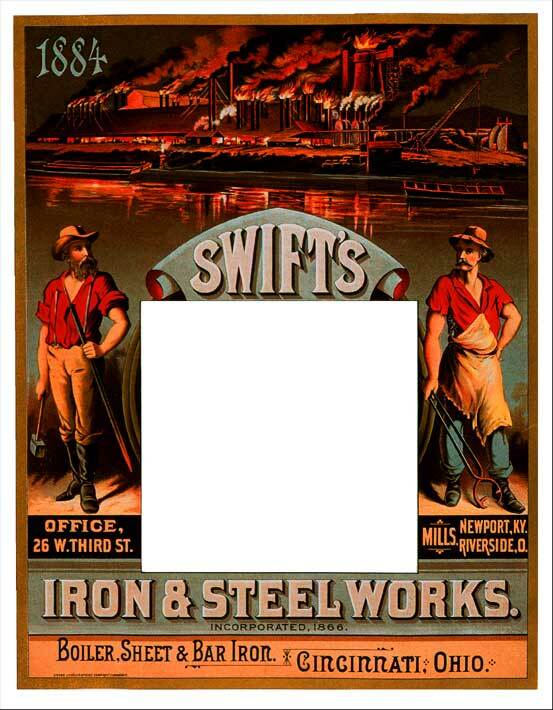 [Calendar 1884] Swifts / Iron and Steel Works. / Incorporated 1866. Lithographs -- Black & White and Colored. . Each: 13&11/16 x 10&9/16 in (34.8 x 26.8 cm). Cincinnati: Krebs Lithographing Co. Langstroth Collection. Art and Music Department.